Rome was up in arms on Monday over a proposal by Austria's new conservative and far-right coalition government to offer passports to the German-speaking residents of the northern Italian province of South Tyrol. The mountainous region, also known by its Italian name Alto Adige, was part of the Austrian-Hungarian empire before being annexed by Italy after World War I as an autonomous province. Some 70 percent of locals said they were German speakers in the last census carried out in 2011. Whatever language they speak, Italy did not take kindly to the idea they could be offered a second passport. "Hands off Italy," said Giorgia Meloni, head of the far-right Brothers of Italy party, while foreign ministry official Benedetto Della Vedova said the proposal had a decisive whiff of "ethnic nationalism". It was "a fanciful move" on Vienna's part, the Italian European Parliament President Antonio Tajani said, insisting "the season of nationalism in Europe is over". 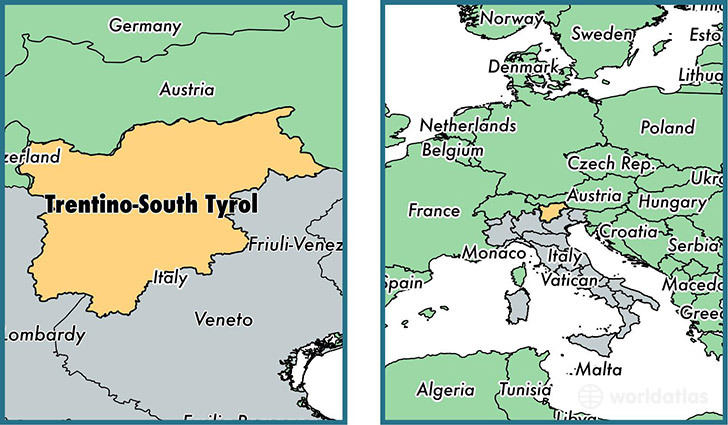 The proposal also irked South Tyrol's German-speaking neighbours in the Trentino province, who enjoy the same autonomous status but have not been offered the same deal by Vienna. For his part, South Tyrol's governor Arno Kompatscher brushed off the controversy, saying the "nationalist policy" went against their status as "committed Europeans. We will continue to play our role as hinge, bridge, mediator," he said.